Seattle real estate, built green, green homes for sale, green real estate, organic, seattle homes, natural, non-toxic, homes for sale. Search for your organic home in Seattle and the Pacific Northwest. Built Green is an environmental building program of the Master Builders Association of King and Snohomish Counties, developed in partnership with King County, Snohomish County, and other government agencies in the Seattle area. Built Green is designed to help homebuyers find quality, affordable homes that offer opportunities to protect the health of their families in the Seattle area. It's always a conundrum for the responsible homeowner. Grass or not to grass? Lawns are notoriously wasteful, when one can be growing food. This is zero scape the way to go? Or is it possible to have a ecologically responsible lawn in this day and age? Fertilize your lawn the day after watering your grass using a lawn fertilizer. 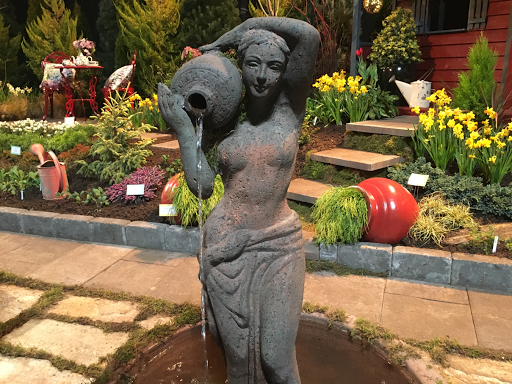 The Northwest flower and Garden show has an interesting exhibit this year showing hydroponic gardening using waste water from fish habitat. It's in the main full garden room right as you enter and is not to be missed. 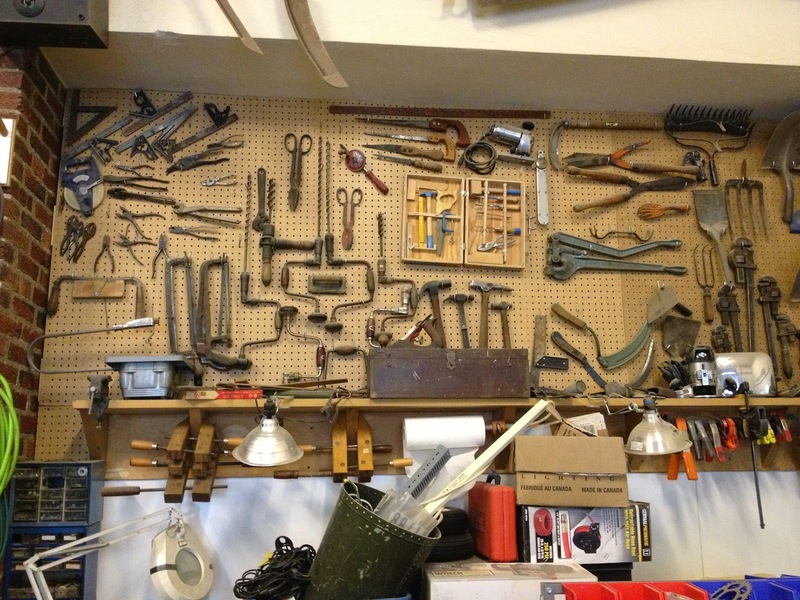 Do you live in a tiny apartment, without room to store those tools you use once a year? Maybe you want to hang a picture, but don't really need to own a hammer or a small step ladder. Maybe you just feel like making ice cream once or twice a year, but don't need an ice cream maker for the rest of the year. What if you got a windfall of apples, and wanted to make cider? Tool Library to the rescue! Imagine checking out a food dehydrator, a multimeter, or a saw in the same way you would check out a book at the library. Just bring it back and its FREE! Please meet us at Braeburn 1410 E. Pine St. There are two doors, so make sure you go to the 1410 door, where you can get buzzed in (there will be a sign at the door with instructions). This is going to be a great asset to Capitol Hill and the surroundings neighborhoods if you own Seattle real estate, you're going to love not having to run out and buy a tool every time you need one. The school year is almost upon us! Every year, I try to think of eco friendly ways to shop. One trick to reduce your back to school environmental footprint is to buy most clothing from thrift stores. Do you have any back to school shopping tips? Share them in the comments! 1. Do a Closet and Supply Sweep Believe it or not, you might already have plenty of school supplies lying around your house. Closets, desk drawers, and basement bins might hold hidden treasures that can save you money. Start by rounding up all of the office and school supplies you already own. Put them in a central location, like a plastic bin or on the dining room table, so you can make a list of what you have. Keep this list in your purse, or in the car, so you don’t forget it when you shop for school supplies. What do your children need for the school year? Pens, pencils, markers, and highlighting pens Erasers Rulers Notebooks and loose-leaf paper Scratch paper Binders Calculators Crayons Art supplies Post-it notes In addition, go through your kids’ closets and start sorting. Clothing that the kids have outgrown, and worn clothing, should be donated or tossed. Once you complete this “supply sweep,” you’ll have a clearer picture of what you actually need to buy. Ideally, the sweep will prevent you from buying something you already have on-hand. 2. Shop at Garage Sales and Thrift Stores Garage sales can be a treasure trove of deals for back to school supplies. Backpacks, gently used shoes, clothing, and even school supplies can be picked up for a song. Start hitting up garage sales for everything you need. It takes time, but you can score some incredible bargains this way. You can also ask friends and family members to keep an eye out for you, while they shop at garage sales. You can also find awesome bargains at thrift stores. Clothing is dirt cheap, and many stores run sales specifically for parents shopping for back to school items. Start early, though. The selection will be picked over by the first day of school. 4. Save on College Supplies If you have a child heading to college, then you will experience some serious sticker shock. From picking up supplies for their dorm room, to investing in college textbooks, sending a kid to college isn’t for the faint of heart. There are many ways to save money on back to school shopping for your college student. First, learn how to save money on college textbooks. Buy used textbooks on sites like Amazon, eBay, and Half.com. You can also compare prices on new books on CheapestTextbooks.com, or buy books on bargain sites like Textbookx.com. Additionally, you can save 50% or more on textbooks if you buy a digital copy and download it to your Kindle, or other e-reader. View textbooks available for digital download at CourseSmart.com or Cafescribe.com. And at the end of the semester, find websites where you can sell used textbooks for cash. Shop for dorm room essentials like rugs, sheets, and light cooking equipment at garage sales and thrift stores. You can save a lot of money by buying used items. You can also ask friends and family members if they have any items they do not use; your social and family networks will be glad to help! You can get gently used items for free, while givers declutter their homes. Everyone wins! 5. Hit Up the Dollar Store You can get some incredible bargains on school supplies at the dollar store. Really! Start shopping in the summer months. You never know what stores will order, or how long items will stay in stock. You can buy basic supplies, like notebooks and pencils, for a great price at the dollar store. 6. Buy Supplies on a Sales Tax Holiday Many states have sales tax holidays, when shoppers can buy items without paying sales tax. You can pick up clothing, computers, and school supplies, tax-free. Find the dates for your state’s sales tax holiday, and determine item eligibility online. Most states have a sales tax holiday during the first week of August, although some states have tax holidays in July, and towards the end of August. 7. Use Coupons Start looking for coupons in your Sunday paper, and look online for coupons at sites like RetailMeNot, which even has a special section on their site for back to school coupon codes. If you don’t want to drive everywhere, keep in mind that many stores, like Walmart, offer price and coupon matching. If there is an item that you need to get at a specific location, such as Best Buy, call ahead and ask if they price match, or have any upcoming sales. It never hurts to ask! 8. Buy in Bulk Buy in bulk to save money on back to school shopping. When pens, crayons, and glue go on sale in the late summer, buy enough to get you through the rest of the year. You might also want to check prices at wholesale stores like Costco. If you don’t think you can use an entire 100-pack of pens, talk to your friends and neighbors; you can pool your money to buy supplies, and then divide them equally. school textbooks carts 9. Use Twitter and Facebook to Save Many companies send their loyal followers coupon links, and advance notice of sales. If you plan to bargain-hunt this year, then monitor your favorite stores’ Twitter and Facebook Updates to find deals. Follow these stores on Twitter: Staples: @StaplesTweets Office Max: @OfficeMax and @OfficeMaxDeal TJ Maxx: @tjmaxx Marshalls: @marshalls Best Buy: @twelpforce 10. Make Them Work What do you do if you’ve set limits for buying specialty or high-end items, and your kids still clamor for expensive back-to-school items? Make them go to work. Assign them chores, or send them out into the neighborhood, and make them earn the money for these items. My parents did this to me, and I lived through the experience. It also made me examine, in a very real way, how badly I wanted to buy some “must-have” items. Most of the time, when I had to spend my own money on something, or put my own hours into making enough money for a purchase, I discovered that I didn’t really want the item as badly as I thought I did. 11. Check for Texts Stores take advantage of mobile technology, and you can, too. According to an article in The New York Times, some Target stores have a Text to Get Coupon promotion. You can receive coupons on your mobile device, just in time for back to school. It pays to see if some of your other favorite retailers will send e-coupons to your mobile device. Look for this information on company websites, call the companies’ 1-800 numbers to ask, or look for scannable QR (Quick Response) codes in stores. 12. Save Money Through Ebates Online cash-back shopping venue Ebates acts like a shopping gateway. The website allows you to shop major stores and brands like Barnes and Noble, Dell, Kohl’s, DWW, Macy’s, and Walmart, all while giving you 6% or more cash back on your purchases. You can receive exclusive coupons and offers, like free shipping, when you shop using Ebates. Many users of the site receive $300 or more throughout the year using Ebates, which they then use on back to school supplies. Users have received more than $45 million in cash back using Ebates. 13. Watch Your Timing As you probably already know, the big rush to buy school supplies occurs in August, and then again in January, since many college students go back to school after the winter holiday as well. If you avoid these peak times and buy after the rush, when items often go on sale for 50%-75% off retail prices, you can save a lot of money. Keep in mind that this will likely limit your selection. But if you don’t need specific items, you have an excellent chance of scoring some great deals by shopping after the rush. 14. Use Cash Instead of Credit Cards Use cash instead of credit cards to pay for your back to school supplies. Paying for supplies with cash allows you to keep an eye on your funds and to stay within your budget. Begin shopping by focusing on the essential items, including required school supplies or required textbooks, for college students. If you spend all of the money you have budgeted for back to school shopping, take a break. Once school has started, you may find that you have everything you need. If it becomes apparent that the kids still need some more supplies once school starts, prioritize those items and shop accordingly, using cash and staying within your budget. Solar Panel, a photo by saloharuk on Flickr. Lately, I've been noticing lot's of solar panels popping up in Seattle and the greater Northwest area. This is amazing to me, since as recent as ten years ago solar power wasn't very practical for those living in more sunless climates. It's wonderful to see people making changes to help preserve our world. 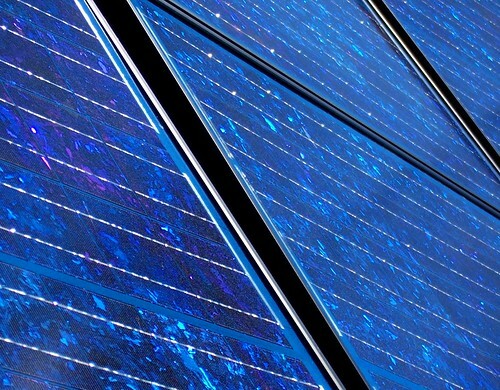 Solar technology has sure come a long way since it's invention in the 1950s! Duo of Monster Hands ~ Recycled Aluminum Cans, a photo by Urban Woodswalker on Flickr. I found this photograph while browsing on flickr and thought I'd share. 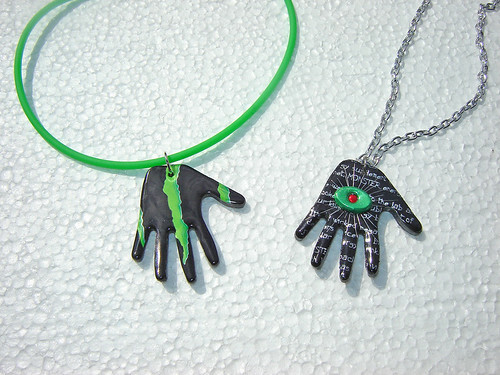 According to the description, both necklaces were made from one monster can. Isn't is wonderful what we can create with a little ingenuity? Not to mention those cans are being put to much better use than they would be sitting around a land fill or at the bottom of the ocean. P1040405, originally uploaded by libertas00. 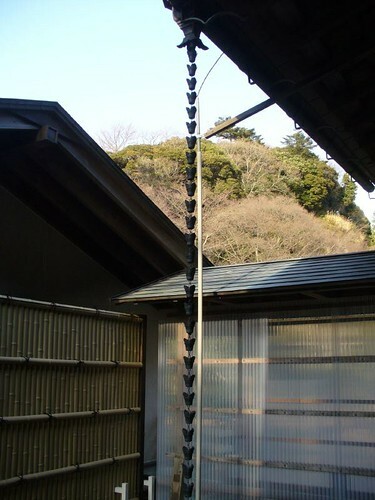 I love this rain solution, a great alternative to a downspout, they're pretty too! Are you looking for a home in Seattle? Start your search with Interactive HomeSearch. Begin by simply clicking on the map below to narrow your search now!